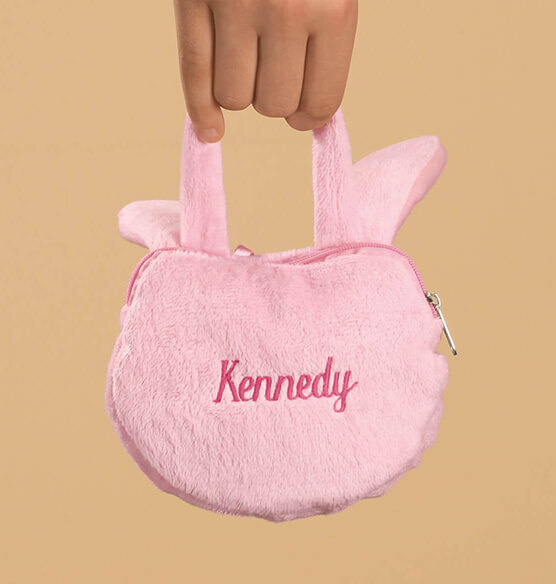 This plush Personalized Easter Bunny Coin Purse from PersonalizedThings by Exposures can become an even more memorable gift when personalized with an expertly embroidered name in deep pink. A pink satin bow adds a lovely finish to the bunny face with tiny black eyes and a cute pink nose. 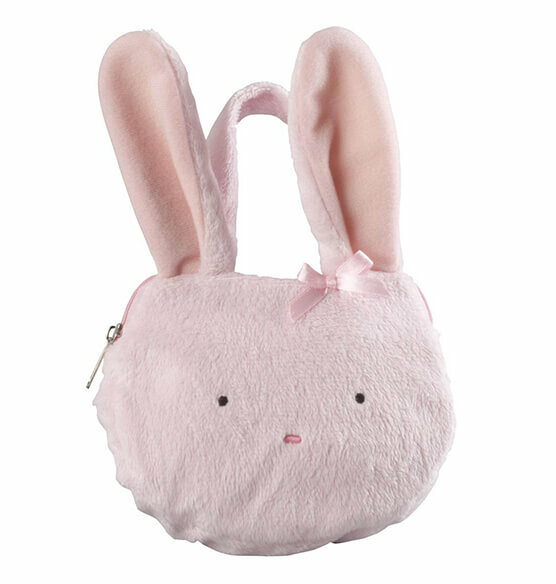 Make this bunny bag an Easter bunny purse gift or an any-occasion keepsake present for little girls or grownup girls. 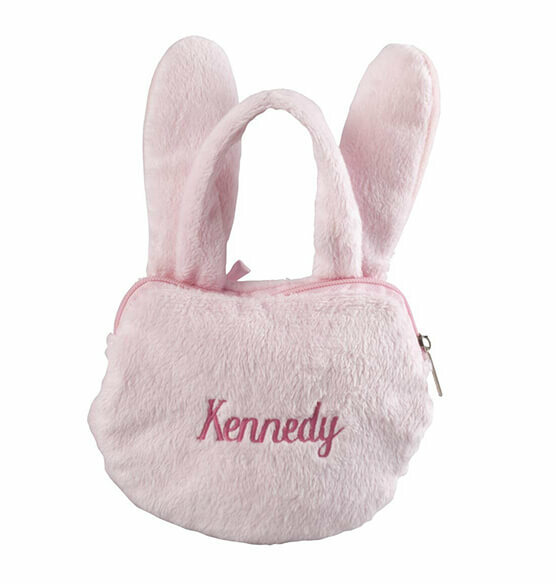 These soft bunny face coin purses are perfect-in-pink party gifts with or without personalization. Choose a name or message; up to 1 line, 10 letters and spaces. 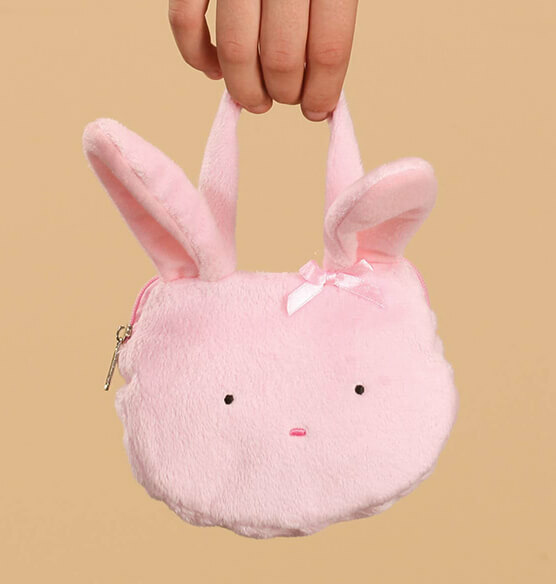 Measuring 5" by 8 1/2" , this pretty bunny face purse with plush pink ears has pink piping along its zip-close opening to safeguard coins and other contents. Spot clean the poly-fabric mini purse.